It’s been almost a year since Greenbury’s last murder. Detective Peter Decker has been enjoying the slower pace of life in upstate New York … until two kids find a dead body in the woods. Identifying the body takes Decker and his former partner Tyler McAdams into the cryptic world of mathematics at Kneed Loft College – a sphere of scheming academics, a beguiling student who sets her sights on McAdams, and a dangerous underworld. 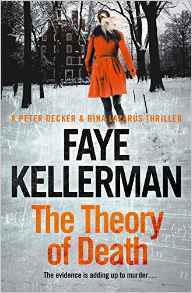 A while back my F2F reading group won copies from the publisher, of The Theory of Death by Faye Kellerman. I enjoyed the book and found it an easy read and rather wish I'd read the previous book in the series which (I think) introduced Decker's (annoying) young partner McAdams. Big Bang meets Diagnosis Murder. Got bored with the maths. Quite good - I like Faye Kellerman. Like the small-town feel of the college setting. [the student] was very irritating - what was Faye Kellerman thinking? Glad that Peter Decker is still going. and a handed in written review: Readable, formulaic, overlong. Flagged at times. Characters likeable enough but had no depth. Ending a little disappointing and predictable. So a mixed response but overall the response was positive. I'd like to thank the publisher (HarperCollins) for the books and thus the opportunity for the group to all read the same book. Usually, as we're library based, we have to go with a selection of titles to have enough copies to go round. The year is 1796. It is midnight on Romney Marsh, Kent, on England's south-east coast in the darkness of a new moon. Smugglers’ boats bring their illicit cargoes of brandy and tobacco from France to land on the beaches of the Channel coast. Suddenly, shots ring out in the night. 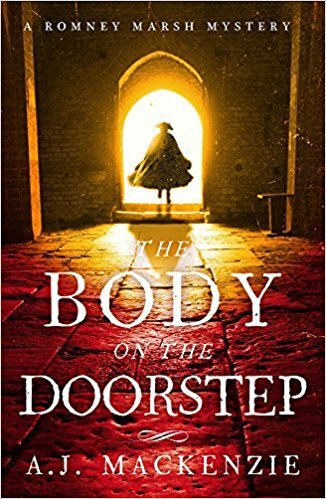 The rector of St Mary in the Marsh, the Reverend Hardcastle opens his front door to find a young man dying on his doorstep and is lucky to avoid another shot himself. The young man lives long enough to utter four words. "Tell Peter...mark...trace..."
What do those four words mean? Who is the young man? Where did he come from, and who killed him? Why, five minutes later, was a Customs officer shot and killed out on the Marsh? And who are the mysterious group of smugglers known as the 'Twelve Apostles', and where does their allegiance lie? When the rector investigates, aided by his faithful allies:- Mrs Amelia Chaytor, a local widow, and the young painter William Turner, he quickly finds himself involved in a world of smuggling, espionage...and danger. This book was absolutely gripping in the historical details which were really fascinating and the one thing I was absolutely amazed about was the huge volume of alcohol that was consumed by the Reverend Hardcastle. He often drank a pint of claret with his breakfast and was sipping port or brandy all day long and getting through several bottles each day!! The joint authors say that people in the eighteenth-century drank, and not tea and coffee, but very large volumes of alcohol. They really drank. Not just trebles all round; beer for breakfast was not unusual among the lower orders, while those who could afford it might start the day with a tankard of claret, or even port. And throughout the remainder of the day, alcohol was consumed in vast quantities at all levels of society. This was a really exciting and truly atmospheric historical mystery that had me transfixed from page one until the final conclusion. The plot was hugely imaginative and the characters were very believable. Whilst the rector and Mrs Chaynor investigate all the various clues to the mystery that they unearth, the plot twists one way and then goes off in another direction and the reader has no alternative but to read on and I just did not want this book to conclude but unfortunately it did and I only am comforted by the fact that further books are promised by these very talented new authors. Because of the time that the story was set in when there were great worries that the French might invade and the modern appliances that we take for granted such as the internet, DNA, newspapers, TV and other modern conveniences were refreshingly absent at that time solving a crime was particularly difficult and word of mouth was extremely important. So the Reverend Hardcastle and his allies had great difficulty in their investigations and this made the story so much more interesting. I look forward to reading many more books in the future by this very exciting author. Another corker from Craig Robertson and covering a topic that is gruesome to say the very least. The central theme of the novel hovers around the unsavoury habit of collecting artifacts from murders – pieces of clothing, jewellery, hair, weapons. Even bricks from houses where murders took place. The list goes on and the prices paid can be astronomical. Robertson admits to having looked into this murky world as part of the research for his book. It is impossible to imagine what he found or, indeed, why people want to collect such things. MURDERABILIA continues Robertson’s series featuring crime photographer Tony Winter and his detective girlfriend Rachel Narey. Tony lost his job with the police in the last book and is now trying his hand at journalism. Getting a lead for a good story is not proving to be particularly successful for him and he doesn’t feel cut out for the job. But then, one morning, a body suspended from a bridge in Glasgow city centre shocks the early commuters and the whole city finds itself reeling. The deceased is the son of a high profile politician and Tony’s photograph of the pile of clothes left neatly folded beneath the body proves to be an instant media hit. Narey, now pregnant, is removed from the case and, much to her disgust, made to endure forced bed rest after collapsing at work. She must stay calm at all costs to keep her baby safe but staying out of things proves to be too difficult for her – especially with her nemesis Denny Kelbie brought in to save the day. Close scrutiny of Tony’s photo soon reveals that not everything is as it should be. Key pieces of clothing are missing from the pile and pretty soon they appear for sale on a somewhat dodgy website. Armed with her laptop and going out of her mind with boredom, Rachel starts to dig and is soon out of her depth in the Dark Web, shocked at what she finds. She sends Tony to do her investigating and both of them are soon caught up in a world where murder is a collectible art and people seem to be willing to pay very high prices for their coveted prize. Rachel, drawn in by the irresistible lure of the objects she finds, is soon buying murderabilia. But her questions have been noticed and it is not long before somebody is watching her closely as well. Can she and Tony solve the case before it is too late or will her fate end up being the same as that of Sharon Tate, who was infamously murdered when pregnant, and is now haunting her dreams? 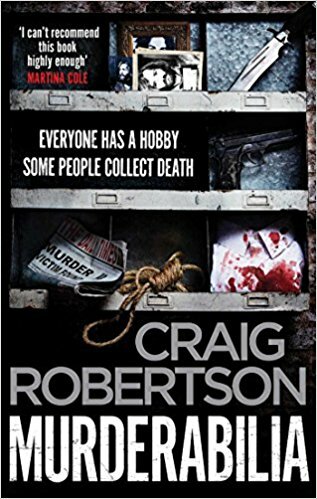 An absorbing and engrossing book, this is one of Craig Robertson’s finest works. It has so many twists and turns that you must stay on your toes to keep up but the ever-increasing pace, that winds up slowly then reaches a screaming crescendo, will keep you up at night to find out what happens. 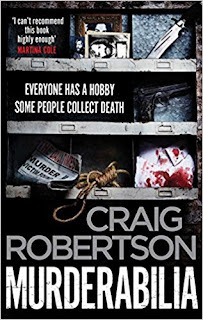 I have read all of Craig Robertson’s books and am always delighted to be asked to review another one. He is a talented wordsmith and I am enjoying watching him develop his craft. Here are some British traditional mysteries published this year, that I'm looking forward to reading. The first two are historicals and the last two are modern day and all are first in series (though I'm not sure if A Dangerous Crossing is actually a standalone.). 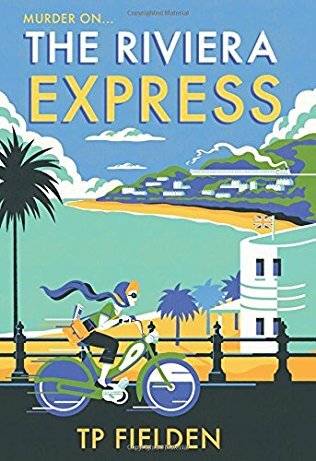 The Riviera Express by TP Fielden published in February 2017 by HQ. 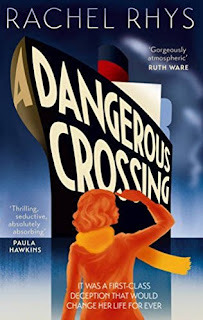 A Dangerous Crossing by (Tamar/Tammy Cohen writing as) Rachel Rhys, published in March 2017 by Doubleday. 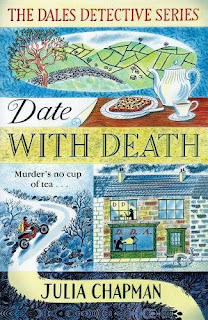 Date with Death by (Julia Stagg writing as) Julia Chapman, also published in March, by Pan. 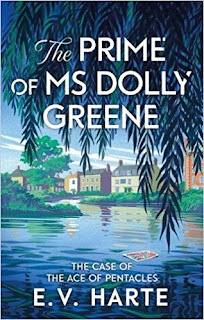 The Prime of Ms Dolly Greene by (Daisy Waugh) writing as E V Harte publishing in September by Constable. In the heart of South West London, just a short stroll from the Thames, lies an enclosed and overgrown bike path and a single row of cottages. Its name is Tinderbox Lane. 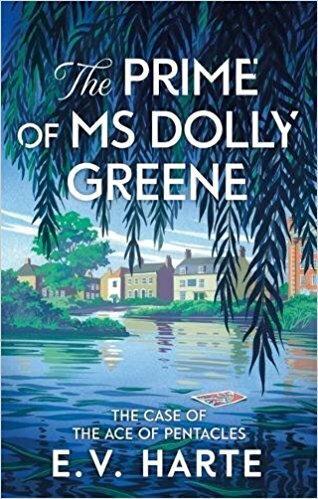 Foremost among the Lane's hotpotch of loyal residents is professional Tarot reader, Dolly Greene: divorced and permanently broke, she shares her tiny house with her 21-year-old daughter Pippa. When, one stiflingly hot summer's day, Dolly reads the cards for the voluptuous and highly-sexed Nikki, her usually professional patter is interrupted by a sudden vision - a flash of Nikki's face, covered in blood and bruises. Death hangs over the magnificent Nikki - but there is an etiquette to reading Tarot and Dolly will not talk of murder to her client. A few days later when the body of a battered woman is washed up by Chiswick Bridge, Dolly is haunted by the belief that Nikki's time may have come. . . but can she be sure? How far is Dolly prepared to go to act on her intuition? And will Sergeant Raff Williams, the officer assigned to investigate the murder, think Dolly's hunch insane? 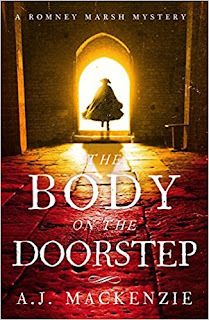 It feels like summer's on its way when the Theakston Crime Novel of the Year longlist appears! Now in its 13th year, the Theakston Old Peculier Crime Novel of the Year Award was created to celebrate the very best in crime fiction and is open to UK and Irish crime authors whose novels were published in paperback from 1 May 2016 to 30 April 2017. We are delighted to share with you the 18 titles that have made their way onto this year’s longlist! The shortlist of six titles will be announced on 20 May, followed by a seven-week promotion in libraries and WHSmith stores nationwide from 1 June. The winner will be announced at an award ceremony hosted by broadcaster Mark Lawson on 20 July on the opening night of the 15th Theakston Old Peculier Crime Writing Festival in Harrogate. In the baking hot summer of 1976 a young girl, Chrissie, is reluctantly having botanical art lessons with Mr Watson who works at Kew Gardens. The lessons have been arranged by her father, a taxi driver, who wants her to have the best chances in life. 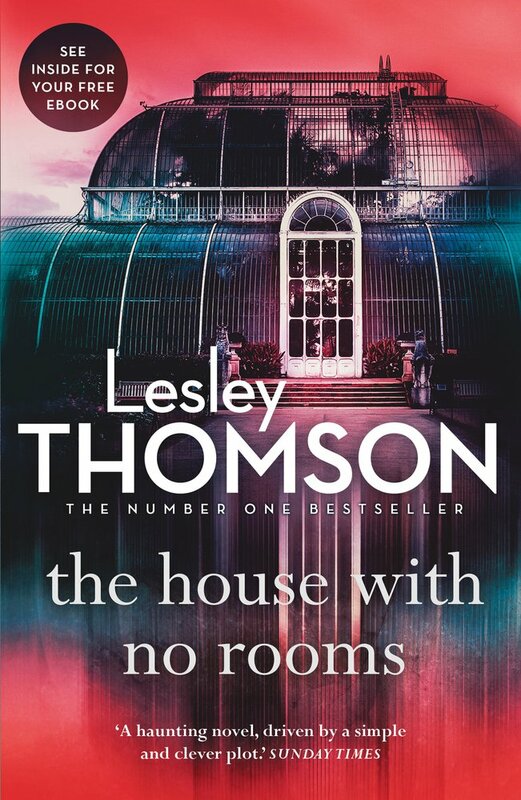 He enrols her in a private school where she meets new friends, Bella and Emily, and as she tries to equal their backgrounds and lifestyles, she soon finds her stories are growing out of control and pretends that Mr and Mrs Watson are her parents and that she lives in their big house. One day as she waits for her friends, she sees a woman being murdered, but the body disappears. In November 2014, Stella Darnell owns a very successful cleaning company which has just won the contract to clean at Kew Gardens. Before his death, her father was a senior police detective and Stella and her close friend Jack, have had some success in solving mysteries in their spare time. Jack is a train driver, as well as working as a cleaner for Stella's company. He is also jealous of Detective Superintendent Cashman's close connection with Stella. Cashman was a friend of Stella's father and feels that it is his duty to look after her. Early one morning when cleaning one of the galleries at Kew on her own, Stella finds the body of a man. The two strands of the story, 1976 and 2014 are told side by side. For most of the book, I felt as if I was reading two separate stories and found the experience annoying. I think that if an author adopts this sort of device then they need to ensure that some of the connections are clear enough to pick up, otherwise it is easy for the reader to lose track of the various strands. 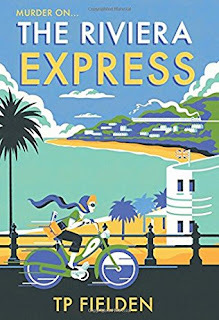 For me, the book only came alive, when I started to recognise and understand the connections between the characters and this was quite late in the story. I haven't read this author before, but I will be reading another since I did like the characters and this encourages me to give the author another chance. This author never ceases to amaze me with the high quality of his writing even though he is currently researching and preparing two main series of books. There is this series with Marc Portman and also the 'Cruxys Solutions Investigations' series the last one named THE BID which was published in paperback in February 2017. 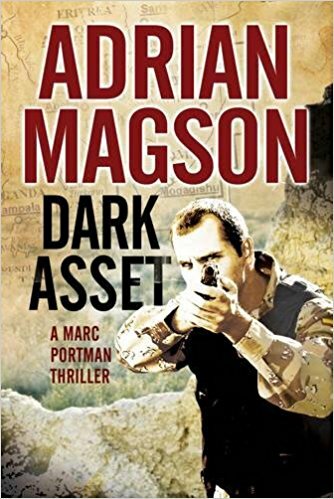 Marc Portman's latest assignment is providing back-up for a French intelligence agent sent to recover a hard drive from one of the most dangerous cities on the planet: Mogadishu in Somalia. What he hasn't been told is that the device records secret negotiations between two leading western nations and a hard-line terrorist organisation responsible for killing thousands of innocent people. When the decision is taken to abandon the talks, anybody in the know immediately becomes a target to be silenced. It is a book that once started it is almost impossible to put down and I was up until quite late at night before I finally reached the very gripping conclusion. The main attraction I have in reading this author's work is that the stories are completely unpredictable, in the middle of this one I remember thinking - what is going to happen next? And having no idea at all except that whatever it is will be highly imaginative and take the story in a fresh direction entirely. This very exciting and sensationally well plotted creation rushes on to its final dramatic conclusion. 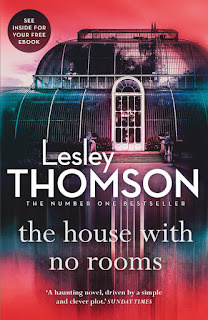 I have had the privilege of reviewing many of this author's books and I hope to read yet more of this very gifted author's stories, whether it is in this new series or any of the previous ones or completely in a new direction soon. If you want to start reading an exciting book that is exceedingly difficult to put down once started then buy this one. Very strongly recommended. In the Mire, the atmospheric Swedish debut which prompted a Europe-wide frenzy for rights at last week's London Book Fair, has been snapped up by Hodder & Stoughton after a three-way auction. Crime and thriller publisher Ruth Tross bought British and Commonwealth rights, excluding Canada, as part of a two-book deal and will publish In the Mire by Susanne Jansson on the Mulholland list in early 2019. Susanne Jansson debut IN THE MIRE, following a young biologist who returns to the rural town where she grew up in order to make up with her traumatic past, only to get pulled into the hunt for a serial killer who draws inspiration from the Iron Age when people buried their human sacrifices in peat bogs - a natural ecosystem that preserves bodies for thousands of years, to Grand Central. Here's a snapshot of what I think is published for the first time in April 2017 (and is usually a UK date but occasionally will be a US or Australian date). April and future months (and years) can be found on the Future Releases page. If I've missed anything do please leave a comment. • Clare, Alys - The Devil's Cup #17 Abbess Helewise and Sir Josse d'Acquin, 12th Century England. CrimeFest have kindly donated a pair of weekend passes to the upcoming event in Bristol on 18-21 May 2017. Each pass includes admittance to all panels and interviews Thursday to Sunday, as well as a delegate goody bag and a programme, and is worth £195. 2017's featured guest authors include Ann Cleeves, Anthony Horowitz and Peter Lovesey. The competition will close on 14 April 2017 at 11.59pm. Who won the 2016 Petrona Award for Best Scandinavian Crime Novel of the Year? The winner of the 2017 Petrona Award will be announced at the Gala Dinner (tickets available separately).